When Matthew and I were in the process of buying our house last year, I was so excited about the prospect of having a refrigerator and freezer that actually had an ice maker in it. After three years, I was tired of using the trays to make ice and refill. I was even more excited that the ice maker made crushed ice. It’s the little things, people. Then we went to test it out. Ice maker worked, but it did not actually dispense ice. Wah-wah. Oh well, at least I wouldn’t have to fill those trays anymore.I recognize that what I am talking about here is a first world problem, but it’s a modern convenience that I enjoy. Then last night we had some friends over to dinner and when they went to fill their cup with ice. Before I realized the miracle that had actually just happened, she had a full cup of ice…that she did not open the freezer to reach in an grab. It came from the ice dispenser. What in the world? In my head, I see two reasons for this. One, she is a miracle worker, or two, when Matthew pulled out the ice tray last week and dropped it, he actually knocked something lose that must have been blocking the passage, or turning mechanism, or something. I’m going with miracle. I don’t really care how it happened. 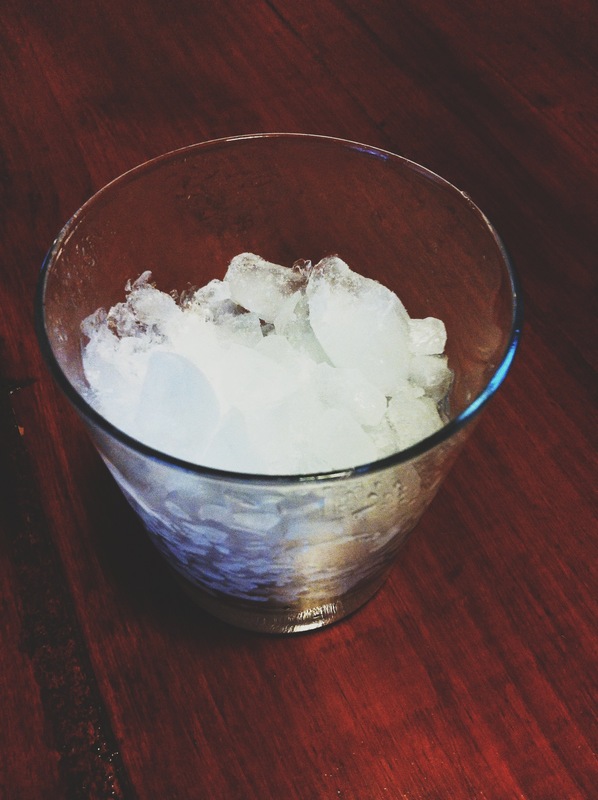 I had my first glass of crushed ice last night that I did not have to crush it in the blender. (Yeah, I’ve done that. It’s more like a snow cone, and less like crushed ice.) It was glorious! I may or may not be going back to make sure it still works. Right now, it does.